Looking for a USED SL600Q? 93.90" x 108.66" x 90.39"
The SL600Q is a Rigid Linear Motor Driven Wire EDM Machine and includes a 10-Year Positioning Accuracy Guarantee. The SL-Q Series features a high quality design, Rigid Cast Construction and a Ceramic Work-Zone. 37 ModelsView more about Sodick Co., Ltd. 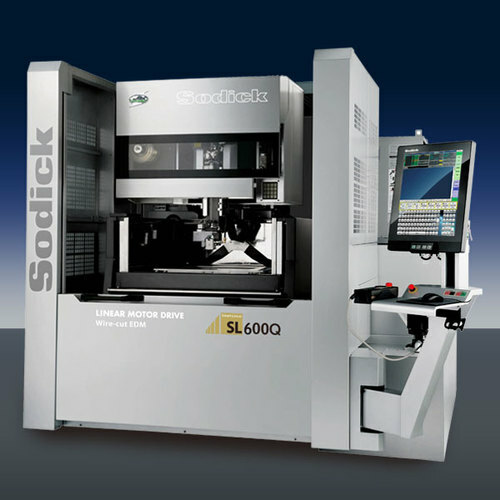 Looking to Purchase a New SODICK SL600Q? Ultra Machine Sales Co. Ltd.
High Speed Machinery Technologies Canada Inc.
Laboratorios de Electroerosión Japax, S.R.L.